Yamaha FZ S FI (V 2.0) vs TVS Apache RTR 160 4V: TVS Apache RTR 160 4V Carburetor Single Disc is the more fuel efficient one with a claimed mileage of while the claimed figure for Yamaha FZ S FI (V 2.0) STD is . 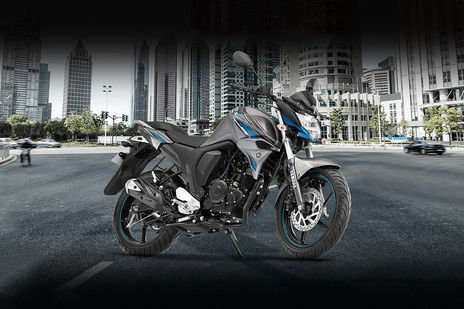 Yamaha FZ S FI (V 2.0) is priced at Rs 84372 (On road, Delhi) while TVS Apache RTR 160 4V is the costlier one priced at Rs 82810 (On road, Delhi). FZ S FI (V 2.0) is available in 8 colour options while Apache RTR 160 4V has 3 colours to choose from. 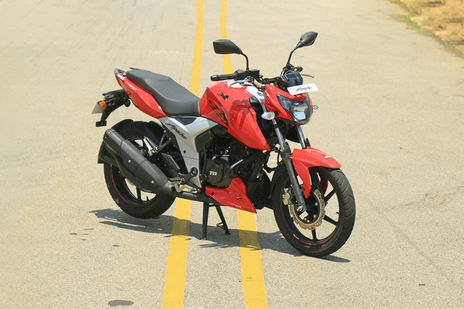 Q. TVS Apache RTR 160 4V ka milage kitna hai? A. The ARAI claimed mileage of Apache RTR 160 4V is 60 Kmpl .The Mileage of TVS Apache RTR 160 4V is approximate 50.94kmpl. Q. In TVS Apache RTR 160 4V Fi ABS duel disc brake model has gear indicator is available? A. Yes, gear indicator is available in TVS Apache RTR 160 4V.